A world of natural wonders and hospitable natives await you in Fiji – just two reasons why plenty of couples visit these sun-filled shores year in, year out. Choose a five-star resort for your wedding party or exclusively hire an island, and say your vows at night under twinkling stars on a dreamy, moon-kissed night. Pretty romantic huh? You’ll need to provide your original birth certificates, valid passports, and divorce papers or death certificates (if applicable) to a marriage registry or district office in Fiji at least two weeks before your wedding for verification purposes. You can apply for the actual marriage licence at the same office at least three working days before your wedding. Couples from Japan must produce the koseki shouhon to certify their personal details. degrees Celcius. The best time to visit is between late March and early December. Wet season is usually from November to April. Although cyclones can occur, they are usually confined to the wet season. To find your dream Fiji wedding venue, visit our exclusive directory of stunning resorts and hotels that specialise in destination weddings. 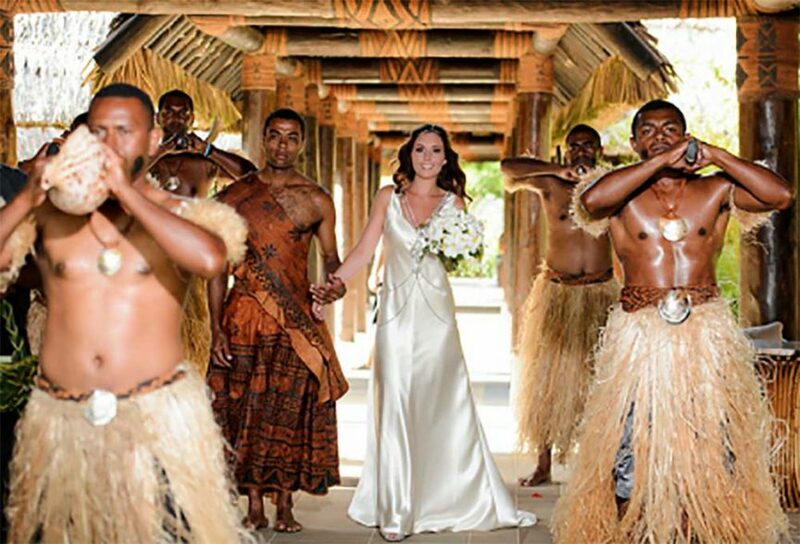 Check out some real life weddings of couples who chose to marry in the Pacific Islands.